Break out these Candied Fireball Cherries for your weekend parties! Boozy, Fireball soaked cherries with a candy coating…these are going to be good. You know that I like to put the “wow” into party food. Desserts, specialty drinks, appetizers even dinner…I like when food is fun. Especially when it’s a party – the food has to match the mood. You could put these Candied Fireball Cherries out for dessert, appetizers or just with cocktail hour and they are going to disappear. Just like popping a fruity bite of candy coated Fireball, all in one bite. All you need to do is get yourself some of that candy coating for apples at the grocery store. 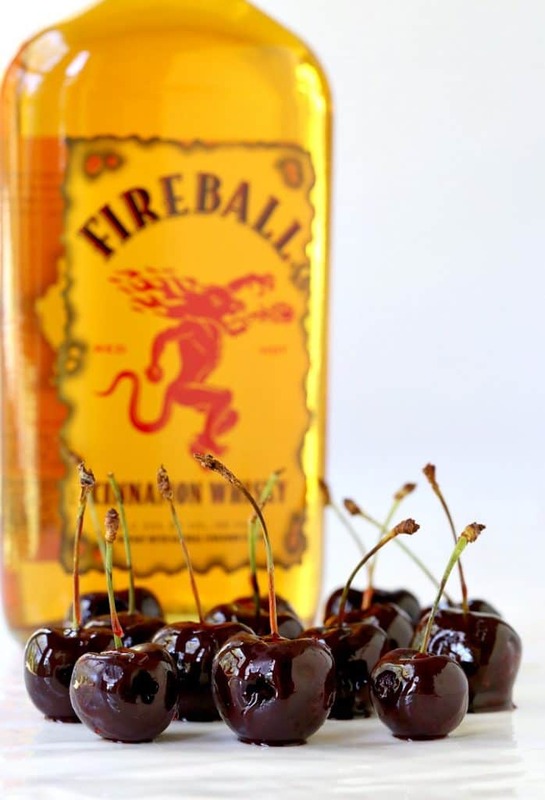 Soak your cherries in Fireball for an hour or two and start dipping. You do have to be a little careful here, make sure all the Fireball has dripped out of the cherries and the cherries have been dried. 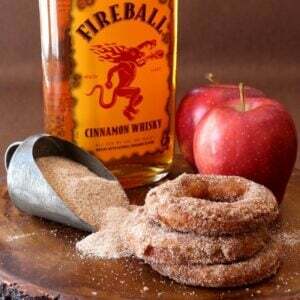 You don’t want a legit Fireball in your kitchen. 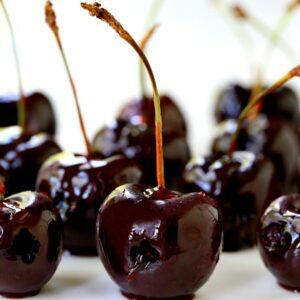 So after your cherries have soaked up all the Fireball, make sure to lay them out on a paper towel and dry off as much moisture as you can. Also, the candy coating won’t stick to the cherries if they’re wet. And then just let them set up to harden. It’s easy, and boozy. Just the way I like it. I chose to pit the cherries first with a cherry pitter. You don’t have to if you don’t mind you friend spitting their pits out all over your house. Or maybe if this is an outside party…you could leave the pits in. 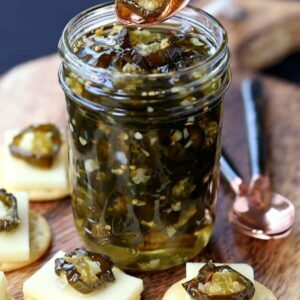 I just think when you’re making boozy snacks that you want to make them as easy as possible to eat. And there’s nothing more to these Candied Fireball Cherries than popping them into your mouth as fast as you can. 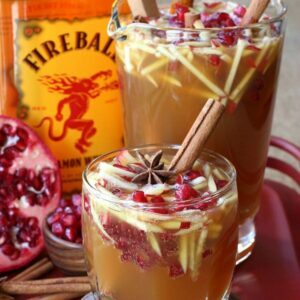 Pit the cherries (if desired) then soak them in a zip top bag or a baking dish with the Fireball Whisky just to cover the tops. Soak for 2 hours then drain the whisky and lay the cherries out on paper towels to dry. 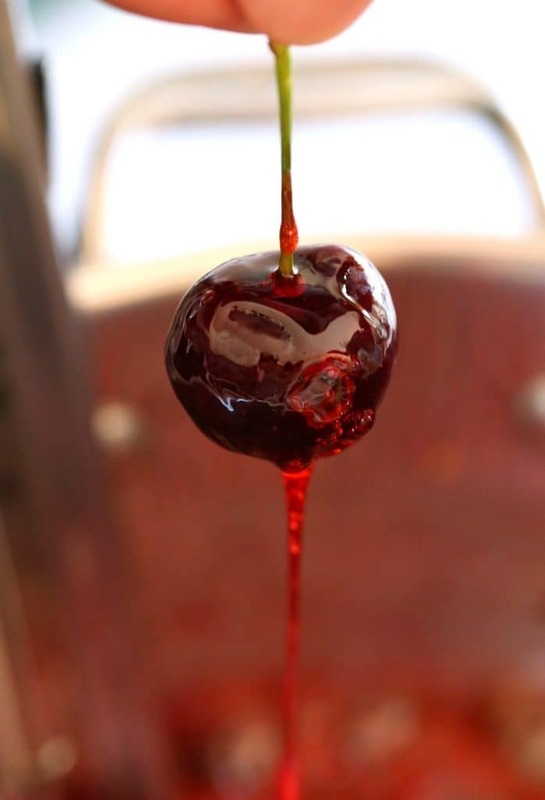 Make sure you get any moisture out from the center of the pitted cherry also. Cook the candy apple coating according to the package directions, adding the 2 1/2 cups of sugar to the mix. 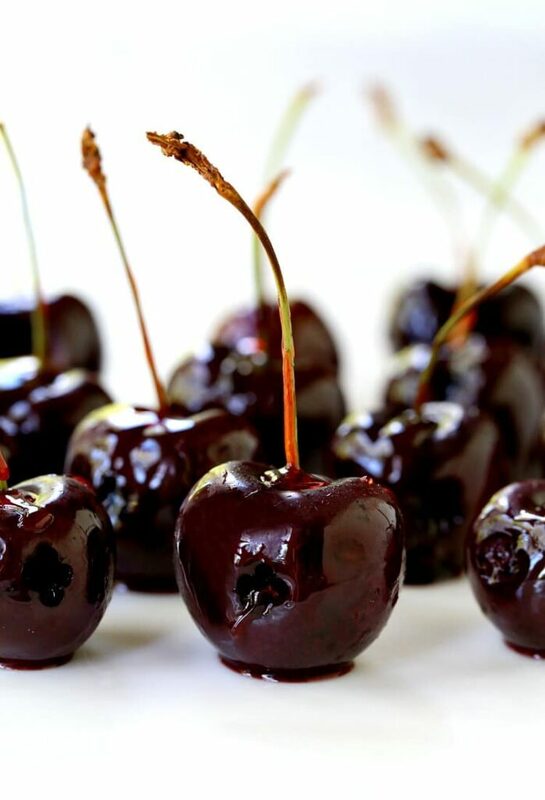 Dip each cherry carefully in the candy mixture then place on a baking sheet lined with parchment paper to harden. Once the candy coating has hardened the cherries are ready to serve.